AIR FLOW PROBLEMS? THIS IS THE NEXT BEST CURE TO ZONING. THESE MOTORS TURN AT 1625 R.P.M. NOT THE USUAL 1075R.P.M. THESE MOTORS WILL NOT WORK ON VARIABLE SPEED EQUIPMENT. 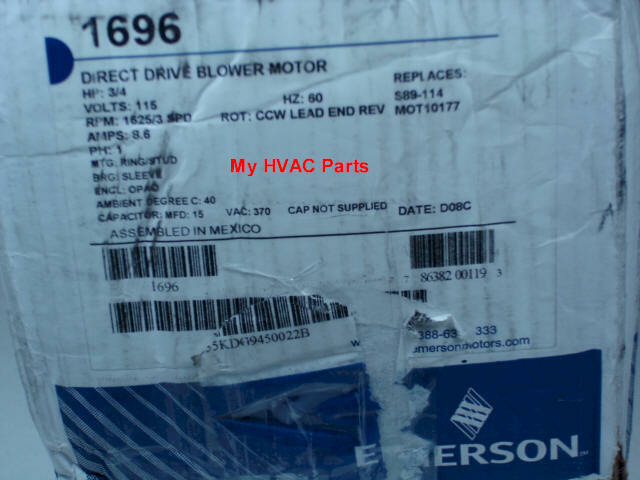 Before ordering any motor or bracket be sure to check the name plate on your present motor for the following. 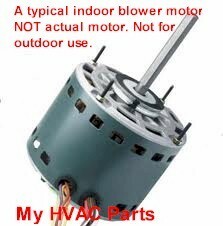 Please do not order a direct drive motor if your equipment uses a belt on the blower, instead see our belt drive motors. R.P.M. ( Revolutions Per Minute ). Keep this the same as what is called for by the furnace manufacturer ( unless the present motor has been changed and is too small ), unless you are PURPOSELY trying to achieve more air flow as with a 1,625 R.P.M. motor. Bear in mind that some manufacturers such as Lennox use 825 R.P.M. motors. Using a 1,075 or 1,625 R.P.M motor in this case, will lead to more noise and probably burning out the new motor unless you also oversize the new motor horsepower. Even doing this will probably result in more noise however from the increase in air flow. 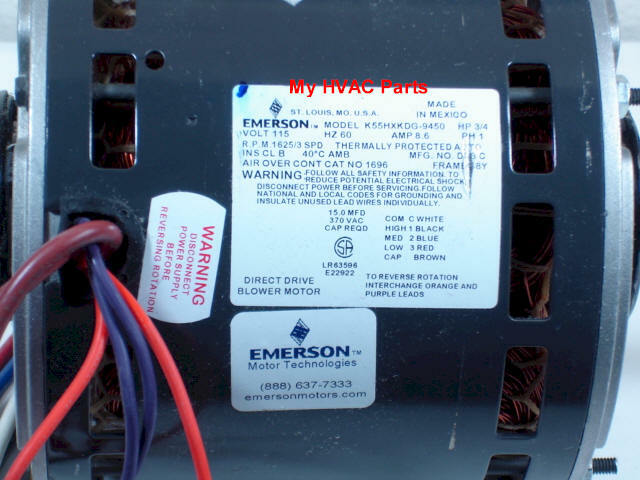 Check the Phase and Voltage (see this link first) Furnace, Air Conditioning Motor Education. Check the diameter of the motor and the shaft size of your present motor. Stud Mount, Belly Band Mount, or Resilient Mount with rubber end bells. Need a Puller to get the fan blade off? Order at Pitch Gauges & Fan Pullers.